For many Rheostatics fans Whale Music is the top album in their catalogue. For most it is probably in their top 3 (for many along with Melville and Introducing Happiness). Kind of their middle child in the Trifecta of Canadian music at its pinnacle. If you are reading this at all, then there is no need to explain what Whale Music is. I'm sure it is different for every fan. For me it was the first album of theirs I heard back in 1992. It didn't sink in until years later after I had my live epiphany moment during Saskatchewan opening a show at The Horseshoe in 1997. I had seen them before this, but I'm sure every fan has their moment where you suddenly "get it". From there, there is no turning back - you're a lifer from that point on, regardless of the fact that the audience was always made up of mutant giants who seemed to congregate at their shows. I'm not kidding, I have never seen a band with more people over 6 1/2 feet tall! They all must be relatives of Don and Martin. 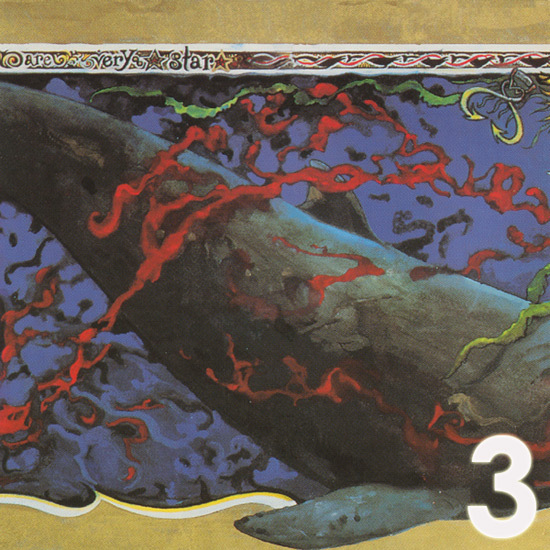 Anyway part 3 of 9 (which I could really make 10 parts at this point) is all about Whale Music. It is comprised of live shows from Fredericton NB to Victoria BC and includes demos, interviews, and Radio shows along the way. There are also a couple of album cuts. I'm sure not everyone will be happy with the studio cut of Self Serve Gas Station but for me it is a spectacular studio cut and sets the tone for the whole album. In voting on the top 100 Canadian Albums for Bob Merserau's book, I ranked Whale Music at number 1.